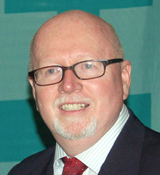 Dr. Geoff Tunnicliffe serves as Chairman of the Board of Advisors. On December 31, 2014 he concluded 10 years of leading the World Evangelical Alliance. Upon conclusion of his work with the WEA, he serves as a strategist and advisor with several global media companies and international networks of business and political leaders. Dr. Tunnicliffe is committed to Christian unity, religious liberty, and peace-building built on a foundation of Bible engagement and whole life discipleship. He resides in Vancouver, Canada and is married to Jewel. They have two young adult children. 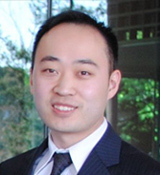 Dr. Christopher Chou serves as Chief Executive Officer of The Christian Post (CP). Before coming to CP, Dr. Chou served eight years as the Chief-of-Staff and Chief Operating Officer at the World Evangelical Alliance, opening its New York offices, and revitalizing key operations in the areas of communications, development, finance, administration and human resources to better serve Christians in over 120 countries. Since committing his life to Jesus Christ at the age of 18, Dr. Chou has founded and operated several international Christian ministries. Dr. Chou is an ordained pastor and he and his wife, Miriam, are active members of their local church. They have two young daughters. 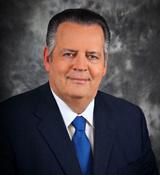 Dr. Richard Land serves as the Executive Editor of The Christian Post, President of Southern Evangelical Seminary, and President Emeritus of the Southern Baptist Convention’s Ethics & Religious Liberty Commission, where he has served since 1988. Dr. Land was featured in Time Magazine as one of "The Twenty-five Most Influential Evangelicals in America,” and had served five terms with the U.S. Commission on International Religious Freedom after his appointment by former President George W. Bush. Dr. Land, however, says his proudest accomplishment is his more than 35-year marriage to his wife, Dr. Rebekah Land, and his personal investment with her in the lives of their three adult children: Jennifer, Richard, Jr., and Rachel. 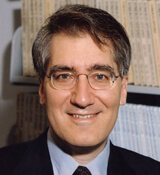 John Grano serves as Senior Managing Editor of The Christian Post. Mr. Grano worked at Inside Washington Publishers from 1980 to 2011 and was IWP's primary editorial director for over 20 years. During his time at IWP, he was responsible for starting more than 20 new publications, covering environmental policy, defense, international trade, health regulation, and energy. IWP's newsletters have international reputations and have won numerous national reporting awards. In addition to his journalism work, Mr. Grano has served in his church as a care group leader, worship leader, and youth pastor. He lives with his wife, Cyndy, in the Virginia Piedmont, and has three adult children. Lillian Kwon serves as Managing Editor of The Christian Post. 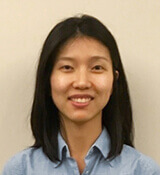 Ms. Kwon previously worked as a reporter for the publication, specializing in Church and evangelicalism in the U.S. and the worldwide persecuted church. She lives in Washington, D.C., with her husband and daughter. Melissa Barnhart serves as the U.S. section page editor for The Christian Post. Ms. Barnhart began as a reporter based in Dallas and Washington, D.C. before joining CP in 2013. Her news interests include: abortion, immigration, suicide and mental health, ex-gay ministries, and conducting interviews with pastors and internationally recognized Christian artists. Ms. Barnhart lives in North Texas with her family. 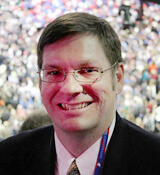 Napp Nazworth serves as the Politics Editor and Political Analyst for The Christian Post. His specialties include the federal budget and national debt, religious freedom, health care, immigration, education and adoption. Before joining The Christian Post he worked for six years as a political science professor. He earned a doctorate degree from the University of Florida, where he studied the intersection of religion and politics. He began the Ph.D. program the same month he started the other great accomplishment in his life – marrying his wife, Angela. They now have two children, and live in the Washington, D.C.-area. Rev. 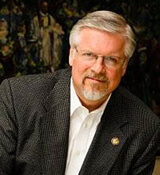 Mark H. Creech currently serves as the Executive Director of the Christian Action League of North Carolina. He has held this position since November of 1999. Before taking this position, Rev. Creech served as a pastor for twenty years, ministering to six churches. Rev. Creech has also been the recipient of a number of prestigious awards. Rev. Creech is married to the former Kim Doumar. Their more than 33 years of marriage has produced two grown children, Matthew and Meredith, and their three grandchildren, Camden Crocker, Wyatt Wright-Creech and Eliana Creech. Professor Robert P. George holds Princeton's celebrated McCormick Chair in Jurisprudence and is the founding director of the James Madison Program. He has served on the President's Council on Bioethics and as a presidential appointee to the United States Commission on Civil Rights. He is a former Judicial Fellow at the Supreme Court of the United States. He is the author of numerous books and his scholarly articles have appeared in such journals as the Harvard Law Review. He holds many honorary doctorates and is a graduate of Harvard Law School, with a master’s degree in theology from Harvard and a doctorate in philosophy of law from Oxford University. Professor George’s numerous awards include the Presidential Citizens Medal. 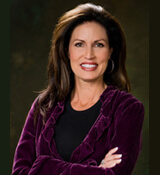 June Hunt is the founder, CEO and CSO of Hope For The Heart. She is one of the world’s leading biblical counselors. 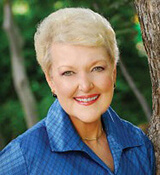 An author, singer and speaker, June founded Hope For The Heart in 1986. Her life’s work has yielded landmark contributions in the field of Christian counseling. The ministry offers biblical hope and practical help—through biblical counsel, coaching, and context for contemporary concerns—in more than 60 countries on 6 continents. As an accomplished musician, June has been a guest on numerous national TV and radio programs, including the NBC Today show. She has toured overseas with the USO and has been a guest soloist with the Billy Graham Crusades. June’s work has earned accolades from numerous groups including the NRB’s “Radio Impact Award” in 2012. 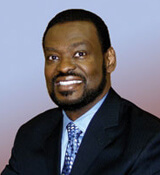 Dr. Bishop Harry R. Jackson Jr.
Dr. Bishop Harry R. Jackson, Jr. is senior pastor of Hope Christian Church, a 3,000-member congregation in the nation’s Capital with his wife, Michele. Having earned an MBA from Harvard, Bishop Jackson has been recognized as a leader of leaders, featured in numerous broadcast and publishing news outlets. He also is founder and president of High Impact Leadership Coalition, which exists to protect the moral compass of America and be an agent of healing to our nation, and has recently formed the International Communion of Evangelical Churches—a network of networks which currently oversees 1000+ churches around the world. Dr. Dan Kimball is the founding pastor of Vintage Faith Church in Northern California and oversees the teaching and missional aspects of the church. He also is Professor of Missional Leadership at George Fox University where he serves as the Director of The Origins Project. The Origins Project is a collective group of church leaders, theologians and artists whose mission is to be guiding new generations into the mission of God. The Origins Project studies churches where college students and those in their twenties are reversing negative trends by staying in church and becoming involved in mission. Dan has served on the editorial boards for Outreach magazine, YouthWorker Journal, and Rev magazine. He is the author of several books including They Like Jesus but not the Church (Zondervan, 2007). Dan lives in Santa Cruz, CA and is married to Becky and has two daughters, Katie and Claire. 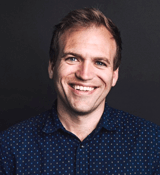 Johnnie Moore is a bestselling author, speaker, media personality, and humanitarian who has been called one of the “world’s most influential young leaders” and “a modern day Dietrich Bonhoeffer” as a result of his extensive work humanitarian work and advocacy. He appears frequently as a commentator in the national media and has written for many national news publications including CNN, The Washington Post, and Fox News. 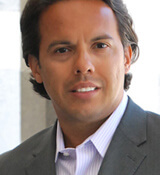 He is founder and president of The KAIROS Company, a highly-selective consulting and public relations practice based in Southern California. 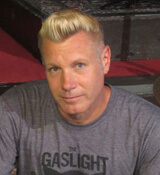 Previously, he held senior executive positions at Liberty University and MGM’s LightWorkers Media. 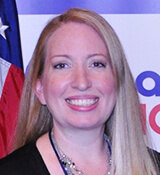 Penny Young Nance is the chief executive officer of Concerned Women for America. She most recently served as President of Nance and Associates and as Special Advisor for the Federal Communications Commission (FCC). Before joining the FCC, Mrs. Nance was founder and President of the Kids First Coalition, a non-profit organization focused on educating Capitol Hill, the media, and the public on a variety of issues related to children. Mrs. Nance has been featured on the topic of social issues and politics in the New York Times, Wall Street Journal, USA Today and others. She has appeared on Fox News, C-Span, MSNBC, CNN and more. Mrs. Nance is the wife of Will Nance and the mother of two children. Rev. 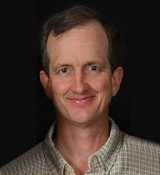 Greg H. Parsons is the Global Director of the U.S. Center for World Mission (USCWM). He was the Director of the USCWM from 1990-2010, where he and his wife have been on staff since 1982. Greg also serves as the Chancellor and Associate Professor of Intercultural Studies at William Carey International University, and he teaches and speaks in churches and in the course, Perspectives on the World Christian Movement. 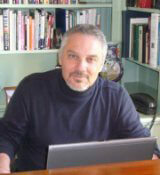 He also writes a regular column in Mission Frontiers magazine, the bulletin of the USCWM. He received his PhD from the University of Wales Trinity Saint David in 2012. His dissertation is on the early life and core missiology of Ralph D. Winter. Greg grew up near San Jose, California and is married to Kathleen. They have two grown children. Rev. Rodriguez is the Current President of The National Hispanic Christian Leadership Conference (Hispanic Evangelical Association), America’s largest Hispanic Christian Organization with 40,118 member churches. Rev. Rodriguez is frequently regarded as the lead spokesperson for the 16 million strong Hispanic American Born Again Christian Community. Rev. Rodriguez has been a featured speaker in White House and Congressional meetings on Hispanic American issues and justice concerns. He resides in California with his wife, Eva , celebrating over 20 years of marriage.